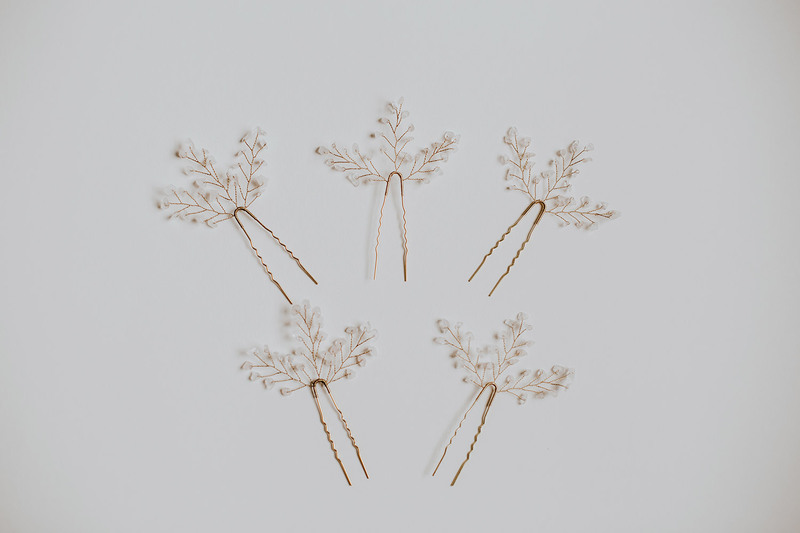 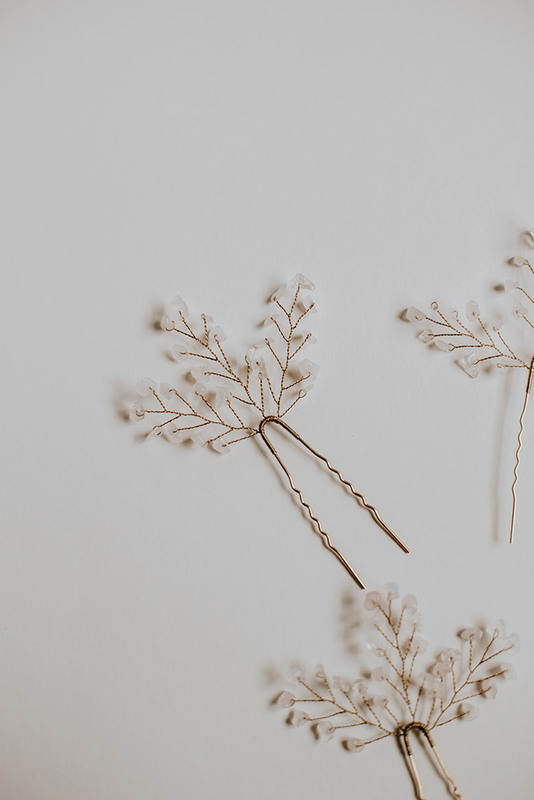 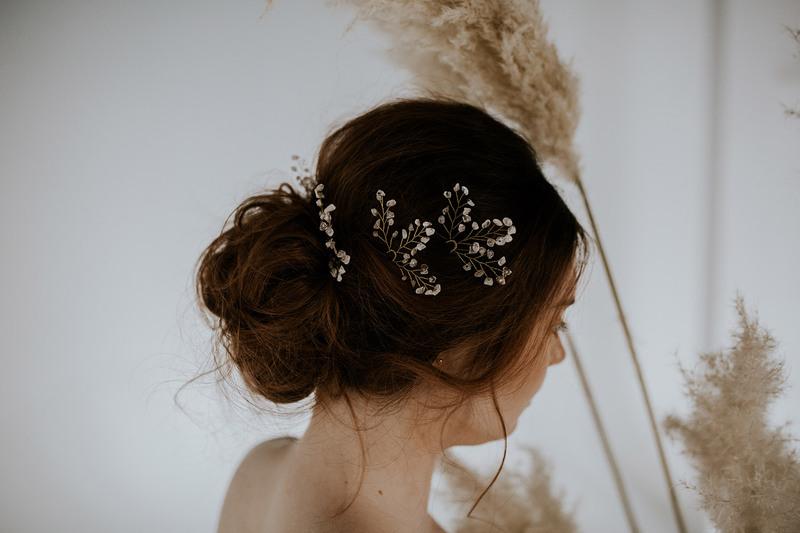 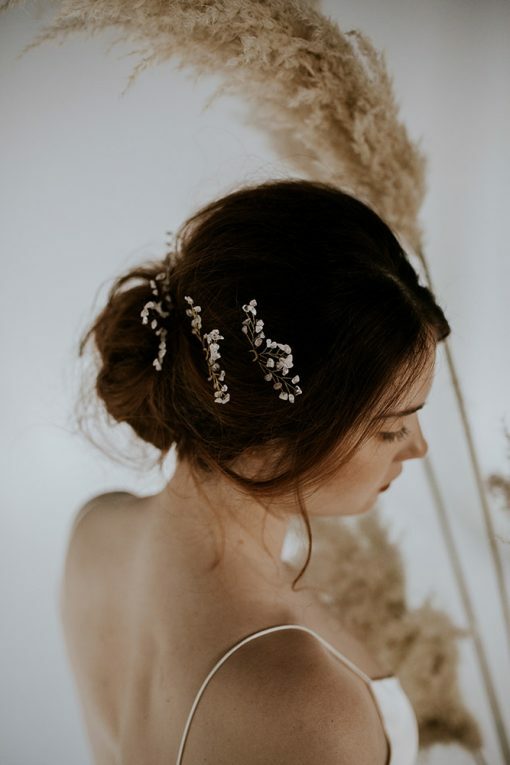 These dainty hairpins are perfect if you want something sweet and subtle but still want to express your distinct and personal style. They are sold as a 5 piece item so you will have more variety in your hairdo. 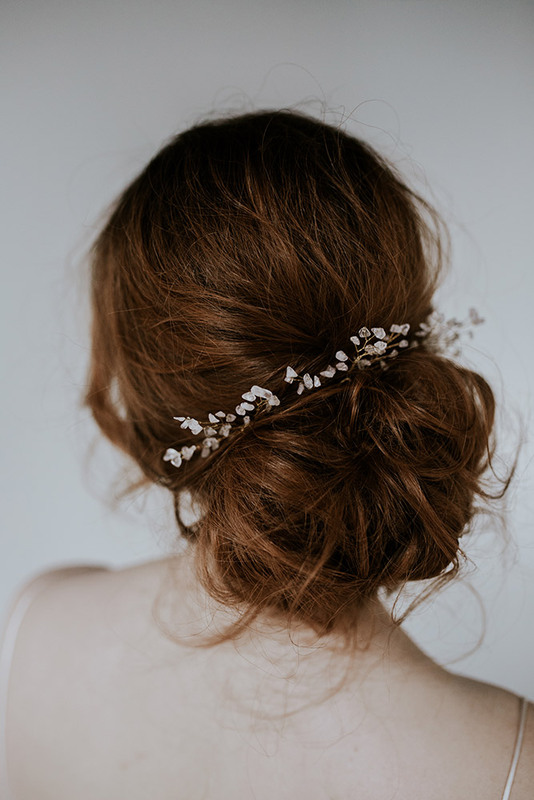 They are best worn in an updo or semi updo.